In the opening pages of Jamie Fords stunning debut novel, Hotel on the Corner of Bitter and Sweet, Henry Lee comes upon a crowd gathered outside the Panama Hotel, once the gateway to Seattles Japantown. It has been boarded up for decades, but now the new owner has made an incredible discovery: the belongings of Japanese families, left when they were rounded up and sent to internment camps during World War II. As Henry looks on, the owner opens a Japanese parasol. This simple act takes old Henry Lee back to the 1940s, at the height of the war, when young Henrys world is a jumble of confusion and excitement, and to his father, who is obsessed with the war in China and having Henry grow up American. While scholarshipping at the exclusive Rainier Elementary, where the white kids ignore him, Henry meets Keiko Okabe, a young Japanese American student. Amid the chaos of blackouts, curfews, and FBI raids, Henry and Keiko forge a bond of friendshipand innocent lovethat transcends the long-standing prejudices of their Old World ancestors. 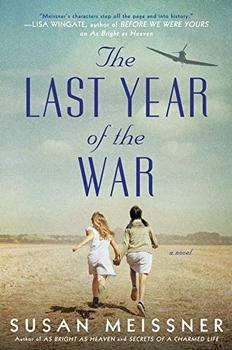 And after Keiko and her family are swept up in the evacuations to the internment camps, she and Henry are left only with the hope that the war will end, and that their promise to each other will be kept. Forty years later, Henry Lee is certain that the parasol belonged to Keiko. In the hotels dark dusty basement he begins looking for signs of the Okabe familys belongings and for a long-lost object whose value he cannot begin to measure. Now a widower, Henry is still trying to find his voicewords that might explain the actions of his nationalistic father; words that might bridge the gap between him and his modern, Chinese American son; words that might help him confront the choices he made many years ago. Old Henry Lee stood transfixed by all the commotion at the Panama Hotel. What had started as a crowd of curious onlookers eyeballing a television news crew had now swollen into a polite mob of shoppers, tourists, and a few punk-looking street kids, all wondering what the big deal was. In the middle of the crowd stood Henry, shopping bags hanging at his side. He felt as if he were waking from a long forgotten dream. A dream hed once had as a little boy. Father-son relationships are a crucial theme in the novel. Talk about some of these relationships and how they are shaped by culture and time. For example, how is the relationship between Henry and his father different from that between Henry and Marty? What accounts for the differences? Why doesn't Henry's father want him to speak Cantonese at home? How does this square with his desire to send Henry back to China for school? Isn't he sending his son a mixed message? If you were Henry, would you be able to forgive your father? Does Henry's father deserve forgiveness? 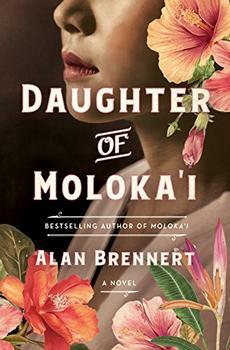 An exceptionally well-written historical fiction novel with many complex themes intertwined throughout the narrative. Its multifaceted, well-paced plot is sure to put it at the top of many a book club's reading list, and it is likely to attract a wide audience. Highly recommended! (Reviewed by Kim Kovacs). If you liked Snow Falling on Cedars, you'll enjoy reading Hotel on the Corner of Bitter and Sweet. I wouldn't be surprised if both Oprah and major Hollywood studios are in contact with Jamie Ford. Memorable characters throughout support Henry including Mrs. Beatty, the cafeteria person at his school, who has a hidden heart of gold and Sheldon the sage old sax player of Jazz. A beautiful endearing story — don’t miss this one. A timely debut that not only reminds readers of a shameful episode in American history, but cautions us to examine the present and take heed we don’t repeat those injustices. [A] vivid picture of a confusing and critical time in American history. Recommended for all fiction collections. While the novel is less perfect as literature than John Hamamura's Color of the Sea, the setting and quietly moving, romantic story are commendable. Lisa See, author of Snow Flower and the Secret Fan. Jamie Ford's first novel explores the age-old conflicts between father and son, the beauty and sadness of what happened to Japanese Americans in the Seattle area during World War II, and the depths and longing of deep-heart love. An impressive, bitter, and sweet debut." I enjoyed the characters and the story. It was interesting to read about how the different families were treated and details of the camp. I would recommend it. Loved this book - read it twice! I Am an American...No Matter What! People of Japanese descent were the victims of racial prejudice from the time they first started to arrive in the USA, and USA-controlled Hawaii, in the mid to late 19th century to work as laborers. By the early 1900s, some Japanese immigrants had started to lease land and sharecrop - California reacted by passing The Alien Land Law of 1913 which banned the purchase of land by Japanese. A little over a decade later, the 1924 US Immigration Act banned immigration from Japan.